“Machsom,” which premiered at BIFF during its Bermovies festival-within-a-festival at BUEI, won with a Special Jury Prize. The film, also known as “Checkpoint,” tracks the daily life of a 19-year-old Israeli soldier stationed at one of West Bank’s most dangerous checkpoints. Mr. Outerbridge is the first Bermudian to attend the prestigious American Film Institute Conservatory’s Master of Fine Arts programme; “Machsom” involved Mr. Outerbridge and fellow students Jonas Sacks, Frederic Richter, Xue [Fox] Yin and Joel Novoa taking on the cinematographic, writing, editing, directing and production chores of an original film as a thesis requirement. The jury selected the British short film, “Indoor,” as the winner of the coveted Bermuda Shorts Award from over 30 contenders, selected to screen in-competition by the BIFF programming team from over 500 entries received from all over the world. As BIFF is one of a small number of Academy Award qualifying film festivals worldwide, “Indoor” is now eligible for a Short Film – Live Action Oscar nomination in 2014. Directed by Adam Townley and Simon Atkinson, the 15-minute film is about a young boy in a windswept seaside community encouraging a girl, who initially refuses to go outside and with good reason, to join him on a kite-flying mission. The film screened to the public as part of the Fantasia short film package at BIFF. 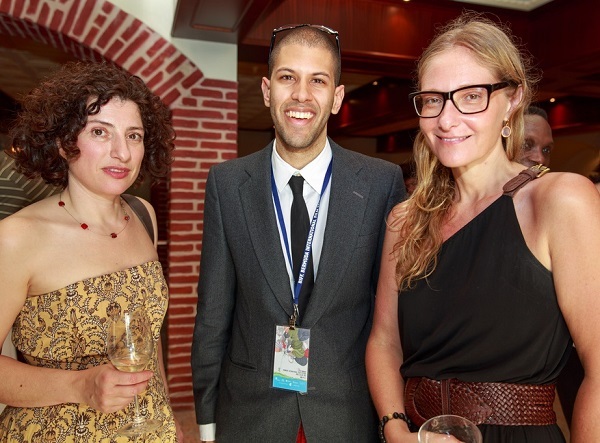 The 2013 BIFF jury comprised of Academy and Emmy award-winning documentary filmmaker, Eva Orner; multi industry award-winning feature and documentary filmmaker, Julia Loktev; and reputable independent film publicist, Susan Norget. The jury also gave a Special Prize to “Brave Girl” directed by Erin Galey, which screened to the public in front of a feature at BUEI. It tells the tale of a 13-year-old Nepali girl, travelling with a family friend from her Himalyan home to her first job in the city. In addition, BIFF also ran a balloting system to identify the winners of the Audience Choice Best Feature and Best Short at BIFF 2013. Audience members scored each film on a scale of one to five and the votes were counted at the conclusion of the festival. The audience selected Closing Film, “Girl Most Likely,” which screened last night at 7pm as the best feature of BIFF 2013. Starring Kristen Wiig, Annette Bening, Matt Dillon and Darren Criss from Glee, Girl Most Likely premiered at Toronto International Film Festival and is not released in the US until July so BIFF programmers were thrilled to have secured it for Bermuda audiences to see this week. This charming comedy sees Wiig take on the role of Imogene, a special sort of underachiever, as a playwright once thought to be destined for greatness, but who has spent most of her twenties and thirties frittering away her talent and opportunities. Things can only go up from here, and they do in this wildly quirky and weirdly optimistic comic character study. 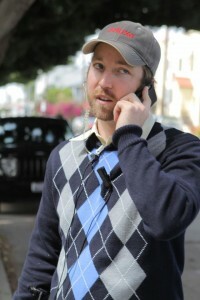 The audience voted British short, “This is Vanity,” as the best short of this year’s festival. The film screened to the public as part of the “Reel Britannia” short film package at BIFF. Loosely based on a true story, it follows a young mother struggling to protect herself and her disabled teenage daughter from the constant violence and abuse from the local kids on the estate where they live. The film’s director, Oliver Goodrum, and writer, Alexander Craig, came to Bermuda to attend BIFF 2013 and participated in a Q&A session following the screening of their film. Over 50 short, fictional features and documentaries films screened at BIFF 2013, held from April 12-18. The lineup included Oscar and Golden Globe award-winning Foreign Language film, “Amour” as well as several Cannes award winners. Over 2,000 cinema seats were filled by BIFF during festival week. BIFF 2013 also included an education element with BIFF Kids “Books to Film” sessions attended by primary school students and the Reel Kids documentary screenings and Director’s Q&A via Skype attended by local middle and high school students. Just saw UFO flying over north shore. Thought it was a helicopter but obviously it couldn’t have been. Can anybody confirm what it was …..aproximately 8:20 this evening. Was what you saw kind of white in colour & oval shaped? We first saw the red light at about 1500 – 2000 ft, relatively close, flying from a southerly direction. It passed over head ignighted with a red light which kept sporadically flickering in intensity, could of been because of the wind. It then began to sway in the wind as it was getting higher and now heading north over north shore in Spanish Point. It looked to have a darker object above it and the whole thing looked like a circular oblong rocket. We kept watching it until it disappeared out of sight as it went into high elevations over the North Atlantic. Definitely wasn’t a shooting star. Did the rocket get launched Bernews or do you have any info on this? Drone…ready the foil hats, they’re watching us. They’re spying on us to find out why Bermudians are so resiliant to alcohol…not sure what UFO’s have to do with the topic though.